This Chimera Triolet accepts Mogul base and Medium base lamps up to 1,000W and 2-pin lamps up to 750W (with its protective glass dome). This Triolet model comes with Quick Release Style Speed Ring, which enables you to quickly mount and dismount your rectangular heat-resistant softbox. 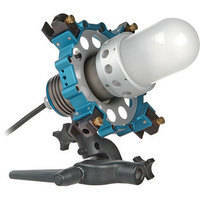 The is a fixture designed for use with 120 Volts AC current. It has an Edison grounded plug and in-line switch. 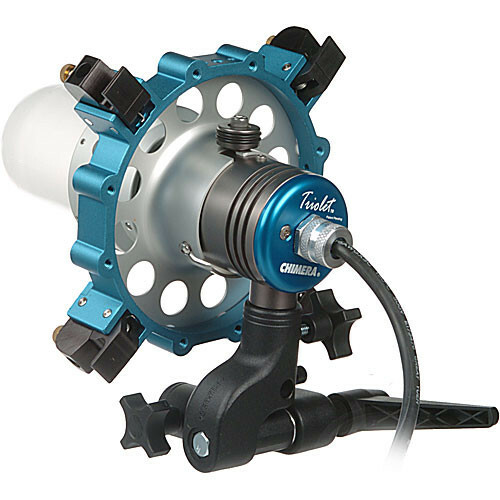 Compatible with Light Banks, Lanterns, or without a modifier for a bare-bulb light effect.